"While there's hard science content [in Landis's stories], there's also a rich emotionalism. Lots of science fiction is bright clever ideas. In Geoff's case, the bright clever idea is supported by the emotional life of the story. He writes about science and the scientific world from a humanistic slant." my first published story, "Elemental"
Geoffrey A. Landis is a scientist and a science-fiction writer. As a writer, he is the author of eighty published short stories and novelettes, and just under fifty poems. His novel Mars Crossing appeared from Tor Books, and a short story collection Impact Parameter (and other quantum realities) from Golden Gryphon. In 1990 his story "Ripples in the Dirac Sea" won the Nebula award for best short story; in 1992 his short story "A Walk in the Sun" won the Hugo award. (Now available on audiotape), and in 2003 his short story "Falling Onto Mars" won the Hugo. 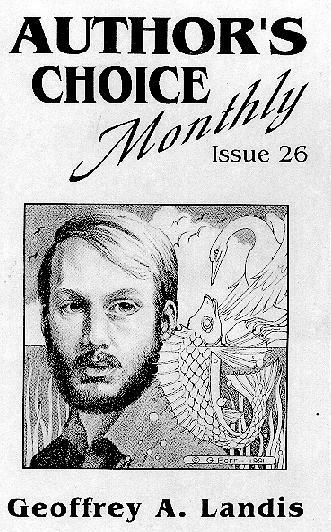 His novel Mars Crossing won the Locus Award for best first novel of 2000. In 2014, he won the Robert A. Heinlein award "for outstanding published works in science fiction and technical writings to inspire the human exploration of space." Internet Speculative Fiction Database bibliography. There is a list of awards that my stories have been nominated for, and you can find some reviews that mention my name on the web. He is a member of the Cajun Sushi Hamsters, also known as the Cleveland Science Fiction Writers Workshop. He was one of the creators of the anthology/braided-novel Future Boston, which has a web site of its own. He attended the Clarion writers workshop in 1985. Some of the other writers from his year include Martha Soukup, Mary Turzillo, Kristine K. Rusch, Bill Shunn, and Resa Nelson. In 2001, along with Mary Turzillo, he returned to Clarion as an instructor. Aside from writing, Dr. Landis is a scientist with the N.A.S.A. John Glenn Research Center. From 2005-2006, he was the Ronald E. McNair-NASA Visiting Professor of Astronautics at M.I.T.. In 2013, he was awarded the AIAA Aerospace Power Systems Award for "developing advanced photovoltaic power systems for extreme space environments; providing leadership, fostering innovation, interfacing with the public; and contributing to an improved scientific understanding of operating solar power devices from the solar corona to the Martian surface and beyond." He has published 400 scientific papers in the fields of photovoltaics and astronautics, holds eight patents on photovoltaic device designs, has written dozens of articles about model rocket technology and edited several MIT Rocket Society reports, many of which can still be purchased from the NAR. He's written more technical reports that he really wants to think about, and organized and served as the technical chairman of the Vision-21 symposium (cover art). He has flown the human-powered airplane "Chrysalis" and helped build both Chrysalis and also the prize-winning Monarch airplanes. He was involved in a project called SpaceCub to design a personal rocket for the hobby flyer. 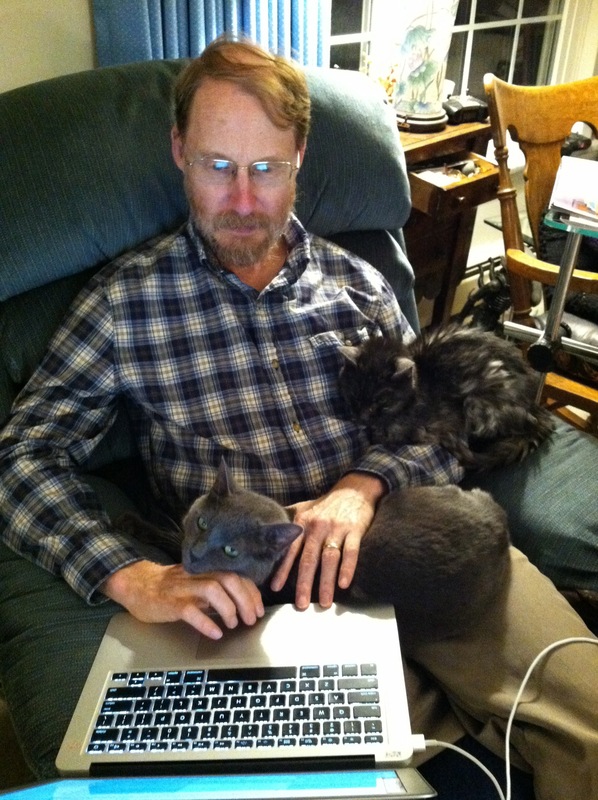 He was a regular participant in the Science Fiction Age "Science Forum", and has written 12 popular science articles, including "The Demon Under Hawaii," Analog, July 1992, winner of the AnLab reader's award for best science article. He has undergraduate degrees in physics and electrical engineering from MIT and received his PhD in solid-state physics from Brown University. 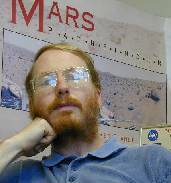 He is currently a member of the science team on the long-lived Mars Exploration Rovers Mission, making spectacular discoveries while driving the rovers "Spirit" and "Opportunity" around on the surface of Mars. 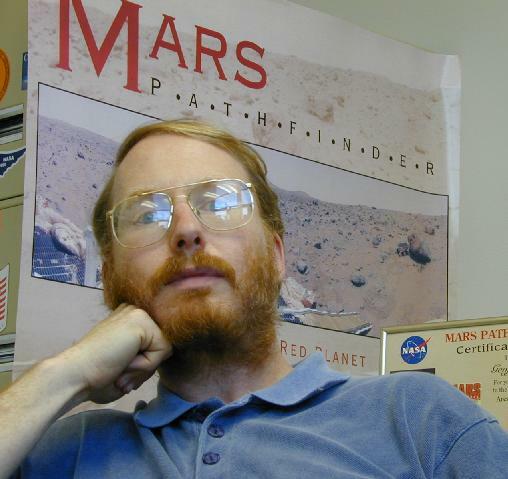 He worked on a project called MIP that was intended to demonstrate manufacture of rocket propellant on the surface of Mars, as an experiment package that was scheduled to fly on the Mars 2001 Surveyor lander mission (the project was cancelled following the failure of the 1998 Mars spacecraft). and a mission called Solar Probe Plus to send a spacecraft to approach close to the surface of the sun. Long ago, in a previous life, he used to be an amateur artist. When I was a child, the first book I remember owning was a children's book about space You Will Go To The Moon. At the time-- I think I was four-- I didn't realize how unusual a second-person narrative was! Looking at the cover, I see that it featured a red-haired boy looking through a telescope -- that's probably why my parents bought it for me. Geoffrey Landis was actually born in Detroit, Michigan. He left Detroit at age six months, and moved to Arlington, Virginia; Baltimore, Maryland; Western Springs, Illinois; Morristown, NJ; Center Valley, PA; and Winnetka, Illinois while growing up. After going to college at MIT and graduating with degrees in Physics and Electrical Engineering, he worked in the Boston area for five years. He then moved to Providence, Rhode Island to attend graduate school at Brown University. After receiving his Ph.D. in physics, Dr. Landis worked as a postdoctoral researcher at the NASA Lewis Research Center (now renamed NASA Glenn), then worked as a NASA contractor, and finally as senior scientist at the Ohio Aerospace Institute, before accepting his current job as a civil-service scientist in the Photovoltaics and Power Technology Branch at NASA Glenn Research Center in Cleveland, where he works on Mars exploration with the Mars Exploration Rovers, and on developing advanced technology for future space missions. In 2005 and 2006, he was the Rodney E. McNair Visiting Professor of Astronautics at MIT. He currently lives Berea, Ohio with cats named Azrael and Tyrael, several teddy-bears, more books than you can count in a year, and no goldfish. He is married to science fiction writer Mary A. Turzillo. 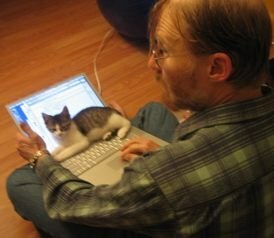 Sam helped me with my writing by keeping the keyboard warm! Aimee Kratts' profile (from Interzone , issue 120). a more free-form interview: chat transcript sponsored by Hotwired, where I was the invited guest author. for mathematicians: My Erdös Number is 5.